Are you concerned about your blood pressure and cholesterol? Triglycerides are also an important health factor that tends to be ignored. Learn how to lower your levels naturally. Are you aware that having high levels of triglycerides might trigger heart attacks and strokes to occur? Yes, eating excessive amounts of saturated fat in your daily diet can affect your overall well-being in the long run. Triglycerides are basically fat molecules; they form in the body from carbohydrate sources and make themselves into the bloodstream. Normal triglyceride levels are lower than 150 mg/dL, but levels above 200 mg/dL are considered to be too high. Thankfully, there are several natural things that one can do in order to decrease or prevent high levels from occurring in the first place. Feeding on saturated fat foods such as egg yolks, bacon, red meat, processed meat and dairy can trigger your triglyceride levels to skyrocket, because they are naturally loaded with cholesterol and fat. Doctors frequently recommend that one should opt to consume more foods that contain protein, such as lean cuts of meat, low fat dairy and poultry. It is important to know that not all the fat that is found in food is bad for your health. If you cut out fat from your diet and decide to consume more carbohydrates instead, you can actually be on your way of increasing your triglycerides levels! To have an optimal overall health, fats should account for 25% to 35% of your calories. According to The American Heart Association (AHA), a 2,000 calorie diet should ideally feature between 56 to 78 grams of fat on a daily basis. 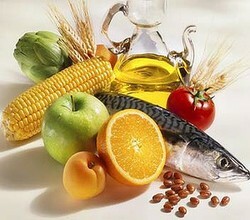 Eating foods that contain mono and polyunsaturated fat, particularly Omega-3, are your best bet! Some the foods that contain these types of fats are avocados, olive oil, seeds, nuts. As for Omega-3, it can be found in fish such as salmon, herring and mackerel. Alcoholic beverages contain sugar and empty calories that can significantly increase triglyceride levels if consumed in excess measures. It is highly recommended that men do not have more than two drinks per day, while it is suggested that women do not exceed more than a drink per day (a 1.5 shot of liquor, 12 oz. of beer, or 5 oz. of wine--are considered to be the equivalent of one drink). Exercising on a daily basis has been proven to be an effective way not only to lose weight but also to lower high triglycerides levels [source] and raise high-density lipoprotein (the good type of cholesterol that helps bring down LDL or bad cholesterol). But, if you are the type of person that has hardly exercised in their entire life, it is important that you talk to your doctor first before performing any fitness activities; he will let you know if it’s a good route to take or not. You mention "avocados, olive oil, seeds, nuts." These are all great. I was able to reduce my triglycerides this way. I think avocados were the biggest factor.